The new service connects to a user’s bank credit and debit card, rounds up every purchase made to the nearest dollar and uses the resulting change to purchase bitcoins automatically. So, if you buy a latte for $2.97, Shakepay Change would use the $0.03 to invest in bitcoins or ether. Each satoshi purchased will be added to the user’s Shakepay wallet, where it can be transferred to another bitcoin wallet or sold for cash. Shakepay charges a 0.75 percent transaction fee for buying or selling cryptocurrency, but it’s free to deposit or withdraw funds. “We’re excited that Shakepay Change will allow every Canadian to easily own bitcoin, buying small amounts gradually over time. Many of our customers already buy bitcoin week after week for the purpose of long-term holding,” Shakepay CEO Jean Amiouny told Bitcoin Magazine via email. Montreal-based Shakepay operates with a Money Service Business license from the Financial Transactions and Reports Analysis Center of Canada (FINTRAC) in all Canadian provinces and territories. The firm had also partnered with Schedule 1 bank, one of the few bitcoin-friendly banks in Canada, earlier this year. Amiouny said the new service will be available to all customers of major Canadian banks and credit unions, so Canadian users will be able to link their bank accounts to Shakepay Change once it launches regardless of their bank. He said that the majority of customer funds are held in an air-gapped cold storage system with only a small portion of funds held in the company’s online hot wallet so that they are available for immediate customer withdrawals. 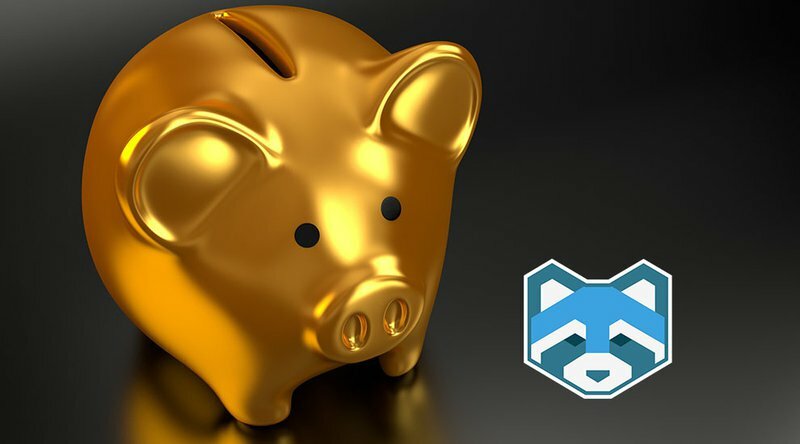 Shakepay’s round-up investment for cryptocurrencies is similar to what Acorns did to traditional assets. U.S.-based Acorns launched its micro-investment service three years ago, which became popular with millennials, enabling the company to grow to over 850,000 customers. Customers entrust the investing app with their credit card details; in return, the app automates their investment process on traditional assets. Coinflash offers a similar service to American consumers through its mobile app. Unlike Shakepay, Coinflash pulls the data from your debit or credit card and uses the spare change to make purchases on Coinbase. Thus, users need a Coinbase account before they can fully profit from the automated investment process. Shakepay Change, on the other hand, uses Shakepay’s own exchange, so it doesn’t need to outsource this service. A similar service, Lawnmower, which started as a roundup app for buying up bitcoin with spare change, was acquired by digital currency news outlet Coindesk in 2017. As with Coinflash, Lawnmower makes its purchases through an API integration with Coinbase. Lawnmower was subsequently acquired due to the ease of use and appeal of its cryptocurrency price charts.